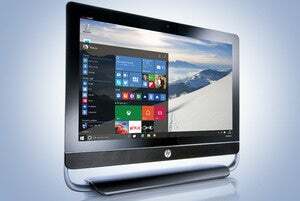 The arrival of Windows 10 later this year could usher in more convenient, fun and wire-free PC computing. Some new features that make for easier hardware handling are already available, but not yet in Windows PCs, which still make up the vast majority of desktop and laptop machines. 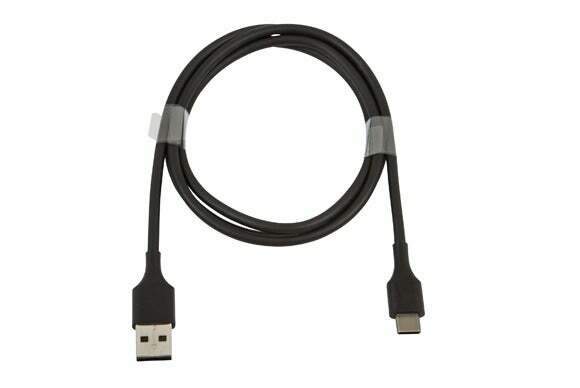 For example, Apple’s MacBook and Google’s Chromebook Pixel have set the stage for USB Type C ports and its associated reversible cables to be used in Windows PCs later this year. Meanwhile, the new Windows Hello feature—which will allow users to unlock a Windows 10 device by recognizing a face, iris or fingerprint—could bring 3D cameras and more sensors to PCs. laptops and connect PCs to monitors, external storage drives, printers, cameras and other peripherals. There’s also excitement around the Type-C cable, which has an identical connector on both ends. 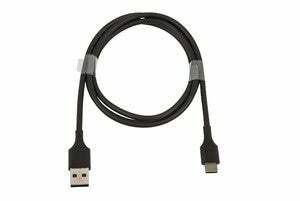 PCs will ultimately also benefit from the faster data transfer rates of the USB 3.1 protocol, which can transfer data at 10Gbps (bits per second), double that of USB 3.0. But for now, the USB Type-C ports in MacBook and Chromebook Pixel are transferring data at USB 3.0 speeds, though desktop motherboards supporting USB 3.1 are already shipping. face, fingerprint and iris authentication. Laptops with Intel’s RealSense 3D camera will be able to recognize faces and use that capability to log users in to Windows. The first iteration of the depth-sensing camera is already in a handful of tablets and PCs, and the next version of the camera, expected to be in Windows 10 PCs, will do a better job of recognizing objects, measuring distances and even taking selfies. automatically switch between tablet and PC user interfaces. That is made possible by sensors that detect the position of a laptop. Microsoft has also suggested Windows 10 devices could be capable of measuring temperature, environmental pressure and carbon dioxide levels, though it’s not certain whether PCs would carry the necessary, related sensors. Microsoft is tuning Windows 10 to work well with Intel’s upcoming Core chips code-named Skylake, which will be in PCs in the second half this year. 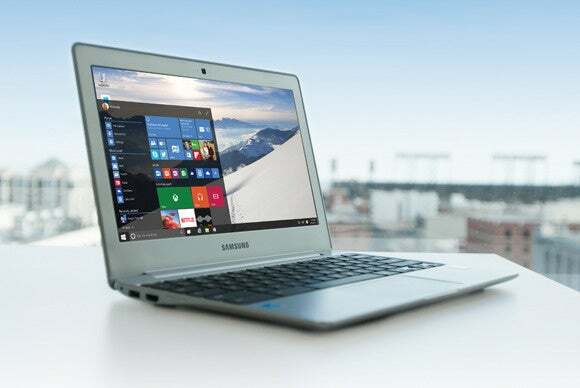 Skylake will boost graphics and applications while improving battery life in laptops. Skylake is also a platform for freeing laptops of wire clutter. The first Skylake chips will likely be Core M processors for tablets and low-power laptops, and will be followed by laptop and desktop chips. In an ideal universe, Intel wants laptops free of all wires. The company is bringing wireless charging technology to laptops later this year so users don’t have to carry bulky power bricks. 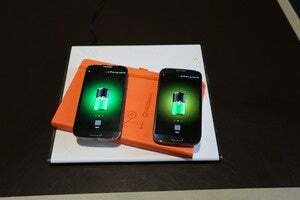 Charging a laptop will be as simple as placing it on a table or another surface; Intel wants wireless charging be as ubiquitous as Wi-Fi. Intel is talking to airports, cafes and other businesses about installing wireless charging tables and surfaces for customers. However, it may be years until the technology becomes practical. Intel will also link up laptops to wireless monitors, storage devices and other peripherals via WiGig technology, which can transfer data at 7Gbps (bits per second). Much like Wi-Fi, laptops will start getting WiGig chips. But it could take a while for WiGig-compatible monitors and storage peripherals to become available. Dell has suggested it couldn’t incorporate OLED screens into Windows 8 laptops or tablets due to lack of native support for the screen type. The company also hinted that it would bring together Windows 10 and OLED displays in the future, though it didn’t reveal exact plans. OLED screens are used mostly in TVs, tablets and smartphones, but not yet in Windows PCs. Windows 10 PCs could pack graphics cards that support DirectX 12, which will improve PC gaming. The battery life of laptops will also get better with DX12. Later in the year, laptops could also ship with DDR4 memory, which will improve internal data transfer between memory, processor and other components.